You'll be £16.00 closer to your next £10.00 credit when you purchase Monty Panesar. What's this? It’s almost impossible to think of Monty Panesar without smiling. A world-class spin bowler, but an economy-class fielder, Monty remains one of England’s most popular cricketers and an inspiration for British Asians. Monty Mania swept the country after he became the first Sikh cricketer to play for England, with white men turning up at Test Matches in turbans and beards and fans naming their dogs after him. For the first time he talks about the extreme racism faced by his parents’ generation, about growing up as a happy, cricket-obsessed child in Luton and his thoughts about Norman Tebbit’s infamous cricket test, which questioned the loyalities of Britain's Asian population. Monty had a front-row seat as the greatest dramas of one of English cricket’s most successful eras unfolded: his shock when Marcus Trescothick’s illness was revealed, the unique pressure he faced as a Sikh after the Mumbai bombings in 2008, his role in the miracle of Cardiff in 2009 and his disbelief as England imploded during the 2013-14 Ashes series, which coincided with the onset of severe paranoia that threatened to ruin his career. Told with brutal honesty, dry humour and above all great humanity, this is the hilarious, poignant and ultimately inspiring story of how he confronted and overcame his issues to regain his place as a national treasure. The Full Monty is set to become the feelgood classic of 2019. 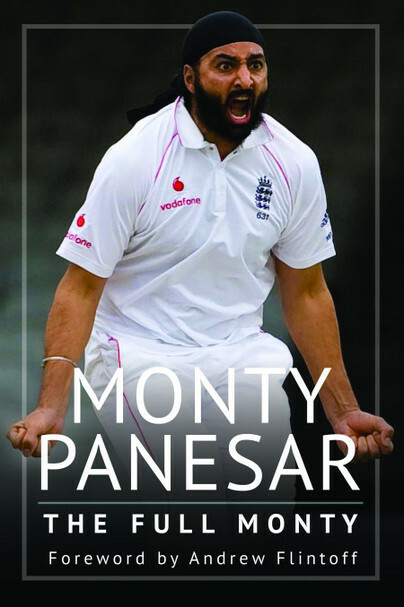 Monty Panesar is one England’s finest spin bowlers and the first ever Sikh to play for his country. He has taken over 700 first-class wickets during his career, which included spells with Northants, Sussex and Essex. He was born in Luton, Bedfordshire, where he lives with his dog, Rambo.